Sorry, but you do realize that the majority of these 6-core SKUs will be sold to customers where the CPU represents a small fraction of the system cost? If that's true, then why did you benchmark the slower parts at all? If it only matters in HPC, then why test it in database? Why would the IDM's spend time and money binning CPU's? Some programs were licensed by physical processor chips, others were licensed by logical cores. 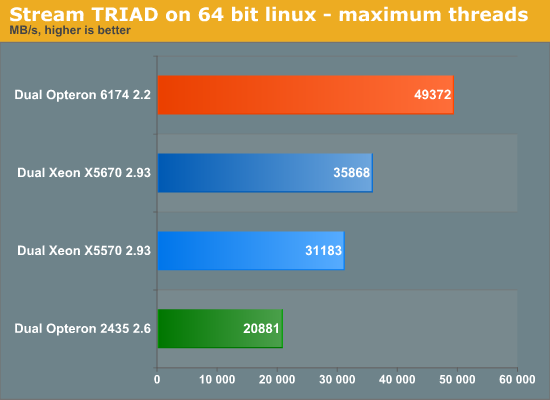 Is this still correct, and if so, could you explain in based on the software used for benchmarking? I would recommend trying to apply some advanced filters on a 200+ GB file. Especially with the new higher megapixel cameras I could easilly see how some proffesionals would fork up the cash if this reduces the time they have to spend in front of the screen waiting on things to process.